Developers are cutting back on the frills to move units in a slowing property market. 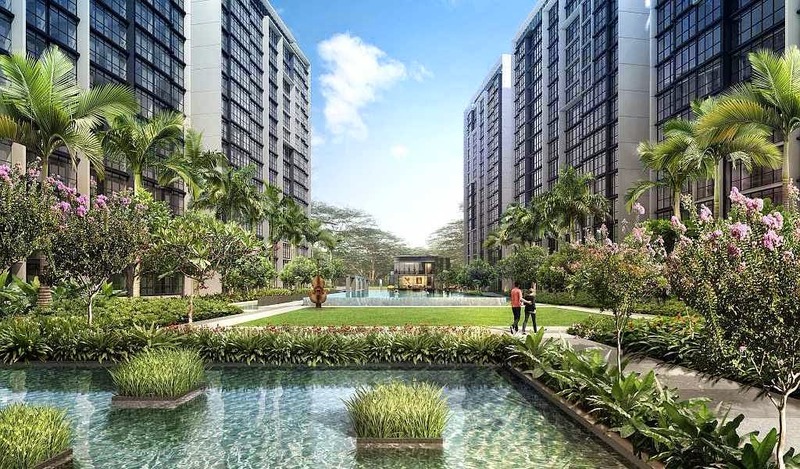 The trend is most evident at EL Development's Symphony Suites in Yishun Ave 9 and two Qingjian Realty executive condominium (EC) projects. EL Development managing director Lim Yew Soon said the project's prices were kept affordable at $671,000 to $1.1 million as it reduced the total sellable area by not having "private enclosed spaces" such as balconies. "Symphony Suites is designed with families and owner-occupiers in mind. Even though the floor areas seem small, the layouts have been optimised to be practical, such that the bedrooms can fit at least a queen-sized bed," said Mr Lim. The 660-unit project, touted by industry watchers as the cheapest condominium on the market, sold 56 units at its preview over the weekend at an average price of $1,000 per sq ft (psf). Units at the nearby Nine Residences were sold at a median price of $1,196 psf in December. Symphony Suites, which will be officially launched this weekend, has two-bedders of 689 sq ft and 788 sq ft three-bedroom units. Three-bedders that come with a yard and utility room measure 893 sq ft while four-bedroom units are 1,023 sq ft. Qingjian Realty is also seeing results from its move to offer bare units at two ECs. The Chinese developer has introduced its "CoSpace flexi" units, which are essentially bare apartments without interior fittings or floor finishings. These units can be $25,000 to $45,000 cheaper.